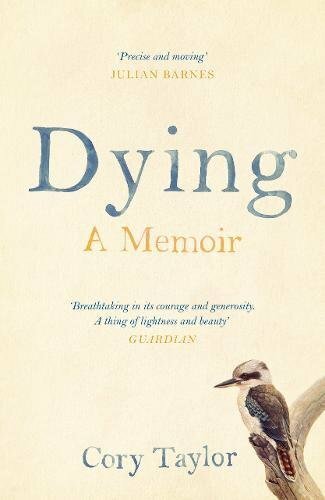 Whilst deciding which books to focus on for the Mostly Books Newsletter this week, I knew that I had no choice but to include the gorgeous ‘Dying: A Memoir’ by Cory Taylor. 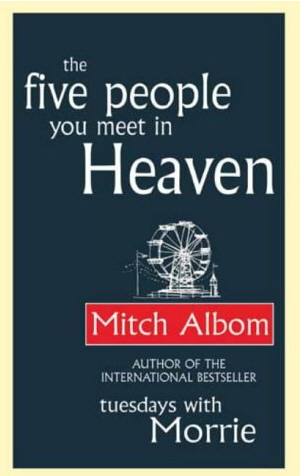 It is an unforgettable book that enters into the mindset of someone who knows that life is soon to end. In the year before her death, as she struggled with an untreatable illness, Cory Taylor began to write about her experiences, the patterns of her life, and of those she had lost. This time of year is always a period of reflection for me and, after some interesting conversations about life and death during the week, I felt the need to put pen to paper on a somewhat taboo subject. Having spent last weekend spending time with a group of my peers at a party hosted by one of closest friends who has been diagnosed with a terminal illness at only 40, it reminded me how important it is to spend time with those you love and to do what is most important to you. It is that message that was covered by Bronnie Ware in her blog post ‘The Top Five Regrets of the Dying’ (http://www.bronnieware.com/blog/regrets-of-the-dying) which, subsequently, was turned into the book: 'The Top Five Regrets of the Dying – A Life Transformed by the Dearly Departing'. The blog, published in 2009, refers to Bonnie’s experience of working in palliative care and the conversations that she had had with those that were facing their own mortality. When questioned about any regrets that those people had had, the same common themes were repeated time and time again with a focus on happiness, friends and family. The messages are important and clear. Whilst working in the shop last week, a man came in who I had never met before. 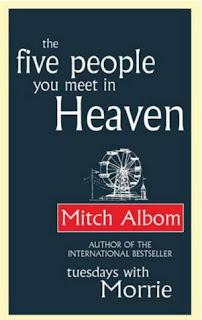 He asked whether we could order him a copy of ‘The Five People you meet in Heaven’ by Mitch Albom which I happily did. 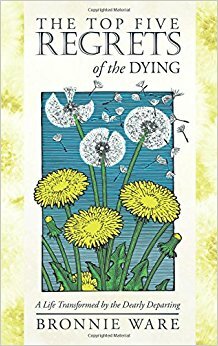 The book is a wonderfully moving fable that addresses the meaning of life, and life after death, in a poignant and well-written way. We got chatting and it transpired that he was in town for a funeral. It was for a close relative and the funeral was on Thursday this week. He told me how this book had had an impact on him in the past and he wanted to share it with some of his family during this difficult time. We talked about how difficult it is to write a eulogy, how strange the time between death and the funeral is and how it is often the case that we only ever properly get together with friends and family at weddings and funerals (that really needs to change!!). I saw him on two further occasions over the course of a week and, both times, we caught up on how things were going. I was so touched when, arriving in the shop on Wednesday, Julia and Karen pointed to a beautiful bouquet of roses which this man had dropped off to thank us for the support that Mostly Books had given him during a difficult time. It was really very thoughtful. This week is ending with the anniversary of a personal loss of mine. It will be four years on Saturday since my father was taken away from us far too soon. He would have loved Mostly Books and everything about it, it’s a great shame that he will not get to see it. Given that I am relatively new to Mostly Books, I wasn’t sure whether it was appropriate to include this on the blog. Perhaps it’s too personal? Perhaps people only really want to read about books. However, looking back over previous posts, it’s clear to me that this blog isn’t just about books; it’s about the community that surrounds our shop and the people that we get to know thanks to the power of a book. This week has served as a timely reminder for me on that and I hope that you don’t mind me sharing my thoughts on what I know is a difficult subject for us all. I am that man. Ian Waterhouse. 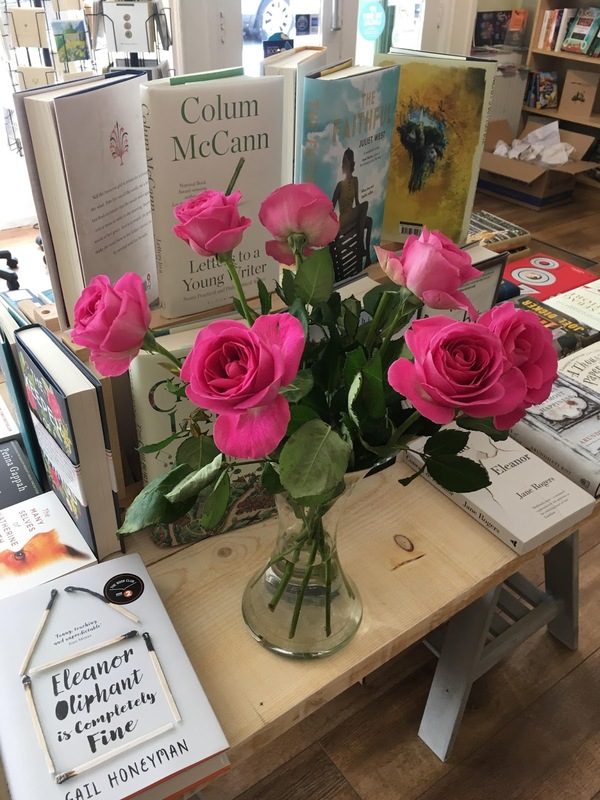 A Huge thank you to everyone in "Mostly Books" for the Shopping experience and time for a chat / shared passion of reading...Long Live the Independents! We must support them or lose them at our cost. Those other Bookshops that both begin with "W" do not provide the same experience.....they sell you a book, you may get a little chat, but it does seem more about the "sale" than the experience, and the time to engage. Sarah and her team really "talk to you" and share experiences of the read or the thought or feeling that they had when they read. So great to meet you Ian. I hope that you managed to get everything sorted.